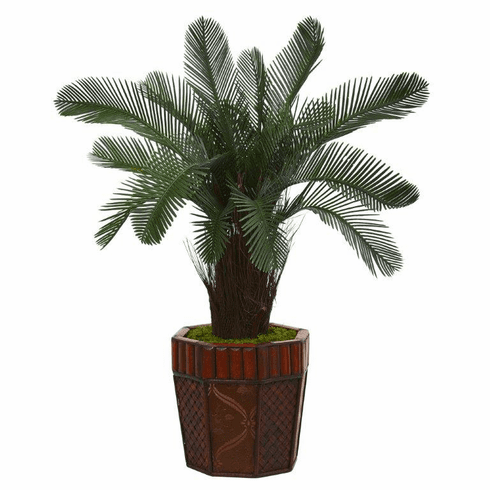 The leaves of this cycas artificial tree fan out in a splendid display from the realistic, carefully crafted trunk. Situated in a decorative wood planter that is wonderfully designed, and topped with moss, it's an excellent choice for your den. Make an arrangement with it, an area rug, and your favorite leather chair. Size: Height: 3 Ft., Width: 28 In., Depth: 28 In. Pot Size: H: 10 In. W: 10 In. D: 10 In.